Gyro technology to balance on one wheel allowing it to move wherever you want him to! 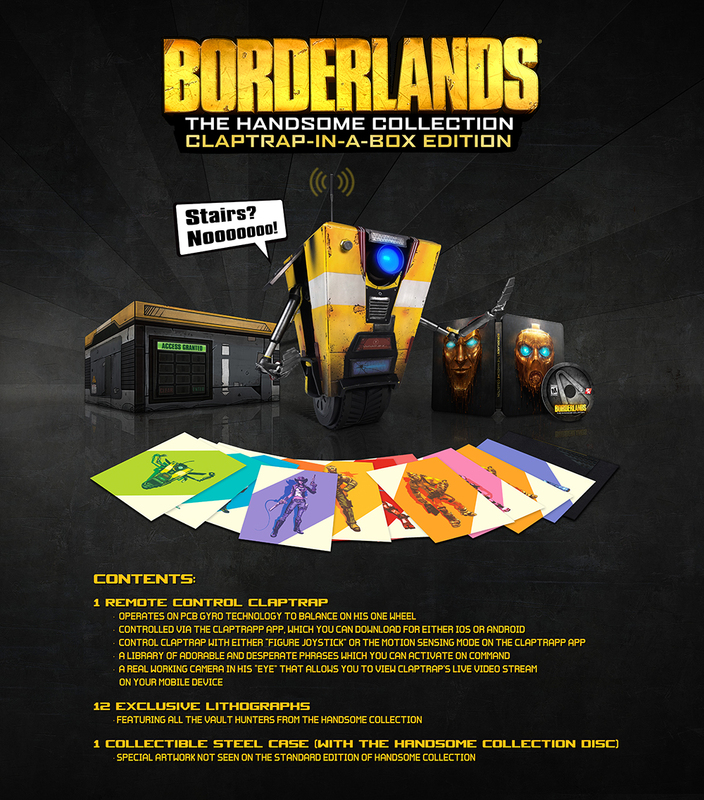 Voice samples of some of Claptrap’s most iconic lines that can be activated on command! A real working camera in his “eye” that is streamed to your mobile phone, so you can see where Claptrap is headed! Do you have an already existing game save? You’ll be able to transfer to the new consoles but sadly only for same system transfers (Xbox 360 to Xbox One / PS3 to PS4). So get ready to revisit Pandora in glorious HD insanity this Spring. Are you a Borderlands fan? Were you hoping for a Borderlands 3 reveal? Keep the conversation going in the comments below.